All things are swell here in San Clemente. It’s looking like we have some rain headed out way tomorrow which is just fine with me. I love the sun but it’s nice to get some variety and have the air and earth all cleaned up by shower or two. I’ve been advancing in my surfing skills which is rad. Don’t get me wrong… I’m still super bad at it and I’m pretty sure all the pros out there roll there eyes as I try to paddle into my itty bitty waves. I am making progress towards being less sucky and that is a great success in my book. 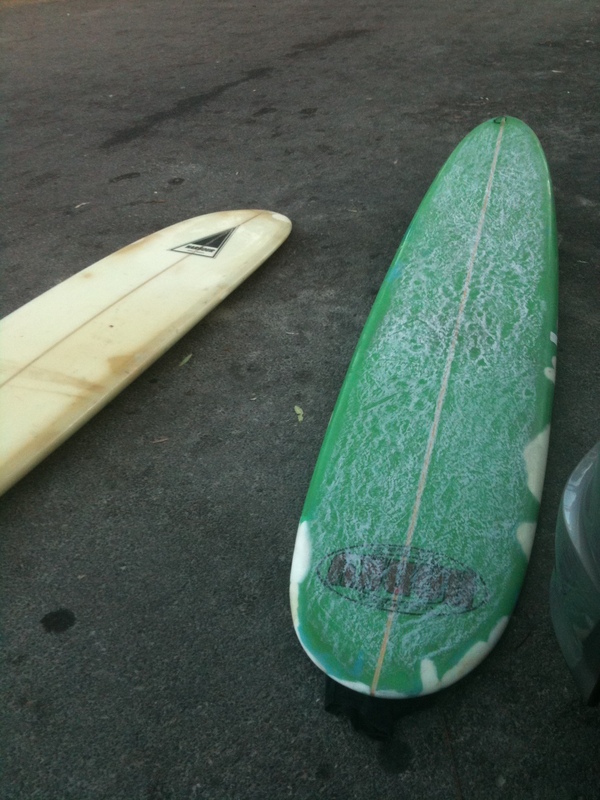 All set for a sunset surf at Doheny. Today’s post is an ode to the gatherers out there, but it is not meant only for the non-meat eaters. 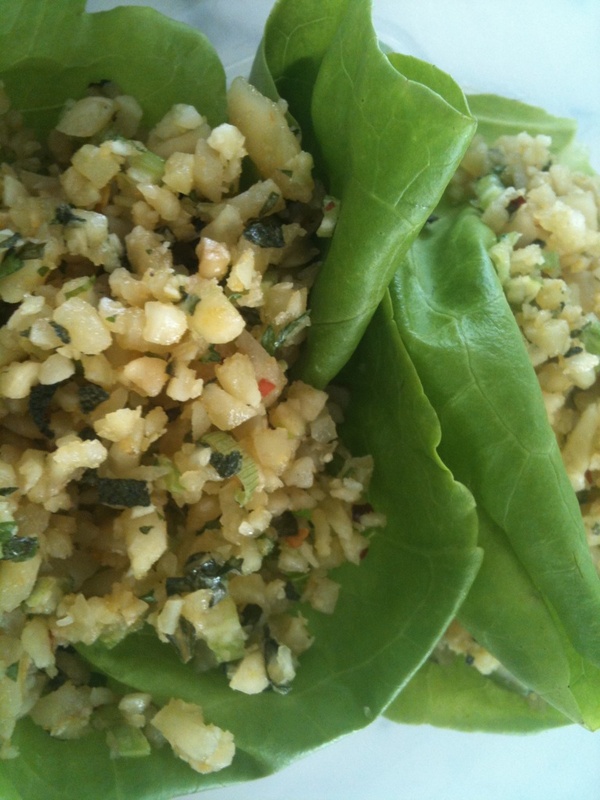 I’ve got a whole page of recipes dedicated to veggie-friendly dishes. This could also be a great meatless meal for those who are protein-sparing. I’ve also noticed that in the Paleo world, sometimes people tire of meat at every single meal. Especially those who have a vegetarian or raw diet history. For the hunters who simply can’t imagine a meal with out meat, it would be VERY easy to chop up some chicken thighs or bacon and add it into this meal. Make it yours! In a food processor, pulse nuts until they are gravel-like texture or smaller. In a medium bowl, add nuts, herbs, celery, onion, seasonings, oil, and aminos. 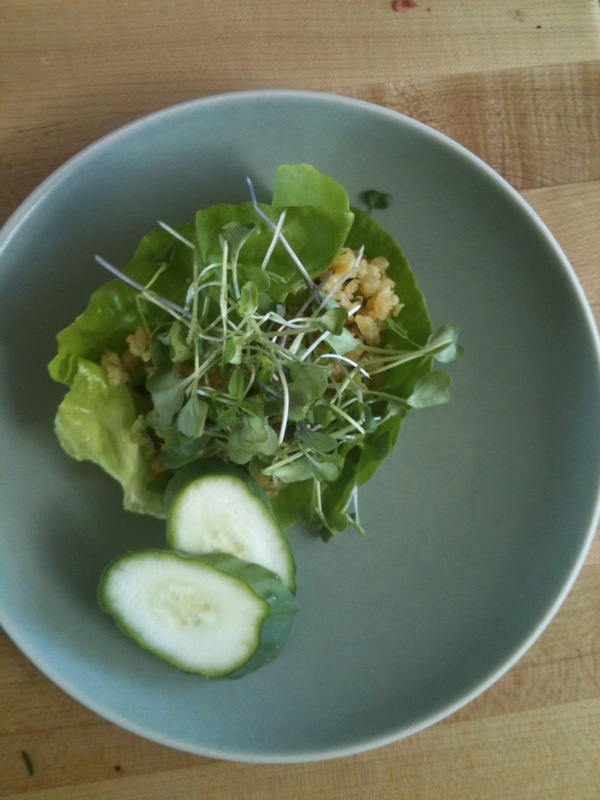 Scoop mixture into Bibb lettuce cups and garnish with chopped cucumber (or tomatoes if you like) and some organic microgreens or sprouts.